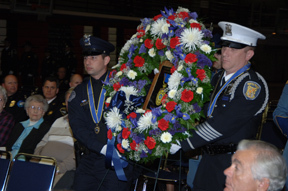 Recognizing members of Law Enforcement who have been killed in the line of duty or have distinguished themselves by exceptional meritorious conduct. Law Enforcement Memorial, Olympia, WA. Since 1855, 34 years before Washington Territory became a state, more than 280 law enforcement officers have been killed. 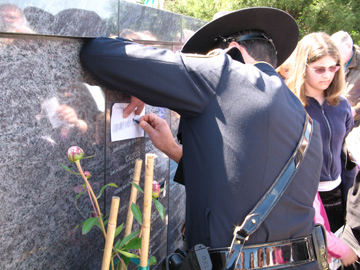 The individuals whose names are carved into the Memorial must be law enforcement officers who have been killed in the line of duty. The Memorial will provide a lasting tribute to those brave officers and tangible recognition of our deep appreciation of their sacrifice.